This ICNC Academic Webinar was presented on Wednesday, Oct. 21, 2015 by Juan Masullo Jiménez, Doctoral Researcher at the Department of Political and Social Sciences at the European University Institute (EUI). 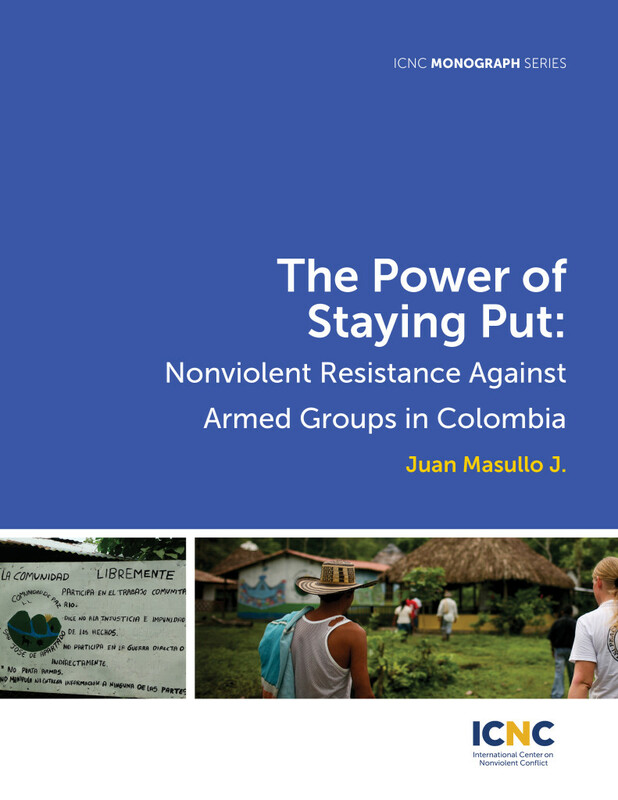 In this webinar, Juan will tell us the compelling story of a community of ordinary campesinos (farmers) who have lead a longstanding, sustained and organized effort to nonviolently resist armed opponents in Colombia’s longstanding civil war. The case study of the Peace Community of San Jose de Apartado (PCSJA) leaves us with an important message regarding the scale at which ongoing peace efforts in Colombia can be advanced. National peace negotiations usually take place between high-level representatives of warring parties, without involving authentic grassroots peacemakers such as the PCSJA. Participant’s question: What role, if any, did international accompaniment play into the struggle? Juan Masullo Jiménez: The role of international accompaniment is central to the Peace Community struggle. In fact, many villagers highlight that they are where they are thanks, to a large extent, to their international support network, which includes, but goes beyond, international accompaniment. I would qualify, however, by noting that its role is less important when it comes to understanding the emergence of the Community than its persistence and developments over time. During the process of consultation and coordination prior to the creation, as well as when the community was declared in March 1997, there was no international accompaniment as such (in the form of physical accompaniment, at least). The day of the public declaration there was presence of international actors, but it would be a somehow inaccurate to call it “accompaniment”. In fact, the first accompaniment the community had (in the form of “unarmed bodyguards”) was national. International actors that today play a central role, such as the Fellowship of Reconciliation, Operazione Colombia and Peace Brigades, came into the picture later through an interesting process of brokerage and coalition formation. Today, the first two have constant presence in two of the Community’s settlements and the third has its office in the capital of the Municipality and is constant communication with the Community. Participant’s question: How did you get involved in nonviolent resistance? 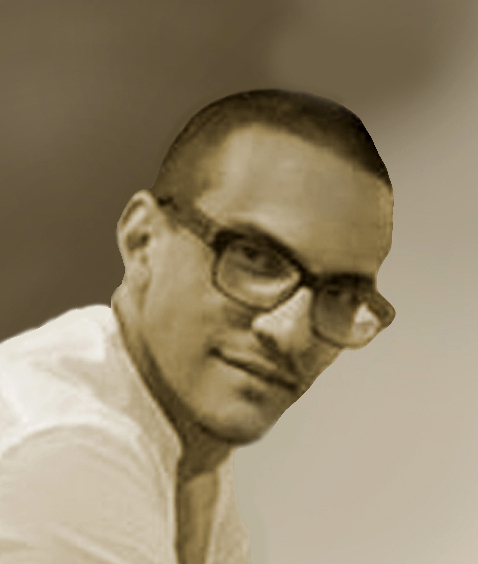 Juan Masullo Jiménez: I have been interested in the Colombian civil war in particular and in the phenomenon of civil war in general for many years now and have conducted different types of research on related topics. In doing so (and influenced by the work of other scholars), I felt we were missing something important as most of the work being done on the topic (at least in the fields of political science and sociology) focused on armed groups as the main actors (leaving civilians aside) and violence as the central interactions (leaving nonviolent ones aside). Not happy with this narrow (although understandable) focus, and also having a strong interest in the study of social movements and collective action, I decided to study other actors and other types of interactions that also take place in civil war. Being Colombian and knowing about the existence of the Peace Community and other experiences of the sort, it was an almost natural step to do research on nonviolent resistance. This goes without saying that, beyond my academic interests, since I heard about the Peace Community and other resisting communities in Colombia and abroad, I have deeply admired what they do. I was fascinated by the mere fact of seeing people defying heavily armed groups without resorting to any type of violence. This resonated well with the teachings and preachings on (principled) nonviolence coming from Easter philosophy and religion that I have been studying and following for a long time. Juan Masullo Jiménez is a Doctoral Researcher at the Department of Political and Social Sciences at the European University Institute (EUI). He is also an honorary member of the Consortium on Social Movement Studies (COSMOS) and an associated researcher at the Jaweriana University (Bogota, Colombia), and holds Master’s degrees in International Relations (International Peace and Security) from the Institut Barcelona d’Estudis Internacionals (IBEI) and Political Science (Comparative Politics) from the Central European University (CEU). Juan was awarded the ICNC Research Monograph Award in 2014.